Seems to be a bridge over a railway, could this be Lea Road next to Cromford Station? 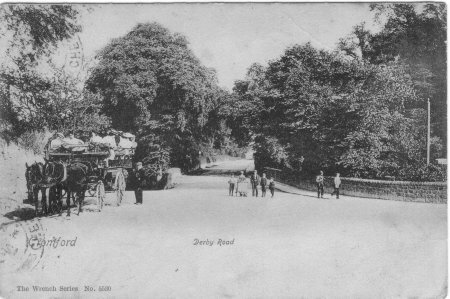 Could the boy pushing the 3-wheeler be taking parcels from the station to Cromford? 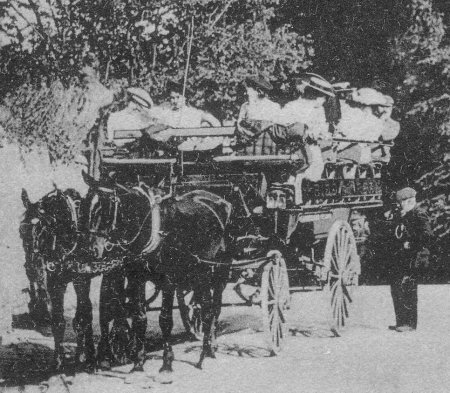 A fine picture of a 2-horse coach full of young ladies in big hats and long skirts. A lovely rural scene, can it be identified today? Thanks Mike, so the photographer is looking South East.